The 2pt5 – conversations connecting innovators is all about bringing people together to share learnings and insights. In the podcast we will be talking to seasoned entrepreneurs, founders, researchers, passionate product- and innovation managers, business designers about the highs and lows of an innovator’s life, their motivation and creative passions as well as favorite methods, tools, conferences and ideas. Although all of this is serious stuff, we are aiming for a relaxed atmosphere with many take-aways for our listeners. Ultimately the aim is to help innovators bring their own work to the next level through meaningful conversations. 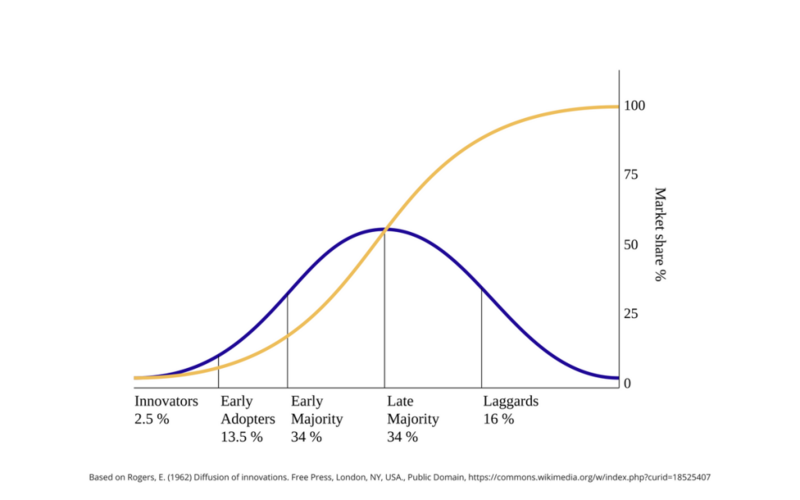 The 2pt5 – the twopointfive – originates from the 2.5% innovators of Everett Rogers’ “Diffusion of Innovation“ theory which is truely fun to work with. The 2pt5 podcast is produced in the state of Baden-Württemberg (don’t even try to pronounce it), in the South-West of Germany. It stretches from the Rhine river (where France and Germany connect), Lake Constance and the Alps (where Switzerland and Germany connect) to world famous Bavaria. The podcast is hosted by Klaus Reichert.